As a consequence of the economic and financial crisis, the financial risk manager is facing, an increasing concern of many stakeholders. 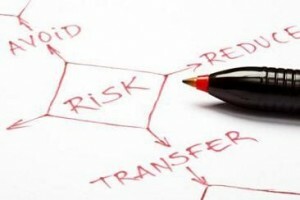 Therefore enterprises of all kinds and sizes want robust financial risk management frameworks that satisfy compliance demands, but also contribute to better decision making and enhance performance. As the business and regulatory environment continues to evolve, organizations face unprecedented regulatory scrutiny, emerging and systemic risks that can challenge traditional strategies and assumptions. For business leaders, this can mean balancing the pursuit of corporate performance objectives, while maintaining compliance with regulatory requirements and managing risks which becomes key. Acting as an interim risk manager we intervene often in advising large multinational companies on their treasury and risk management activities. This ranges from vision, strategy and policies definition to assessment of the control environment. A large focus has also been put on implementation of IAS accounting rules and hedge effectiveness testing advices given to some of the leading European companies in various sectors (e.g. energy, distribution, aircraft industry, commodities, etc…). FINBRAIN ITC has also been demonstrated strong expertise in the development, implementation and review of Commodity Risk Management solutions within corporates mainly.